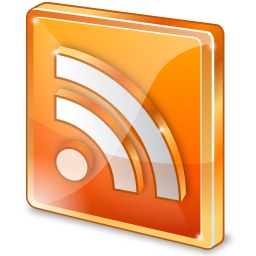 Unfortunately, back in July 2013 Google dropped it’s immensely popular RSS feed reader. Apparently it was popular but not sufficiently profitable. I used to use Google Reader to keep all of my RSS feeds synced. If you don’t use RSS, it’s worth looking into. I originally used it to follow blogs and training logs of runners, then started following academic blogs (organized into various folders), and even started getting my scientific journal table of contents via RSS to avoid a dozen TOC emails every Friday afternoon. I even had RSS feeds for specific questions on Stack Overflow and Stack Exchange to get answers to computing and statistics questions. When Google Reader had been working, I tried Gruml, NetNewsWire, and Reeder as RSS reader apps that synced with Google Reader. I settled on Reeder most recently and had it synced on my mobile devices as well. It was really a nice system. When I clicked on an RSS link on a website, my browser (Firefox) would ask if I want to subscribe to the feed using Reeder (or Google Reader). I’d click yes and then it was synced on my account across all my devices. I could then read my news, blogs, and TOCs as time allowed, wherever I went. Then Google shut down it’s reader service which basically powered the above readers. I’m finally getting around to looking for a more permanent solution to replace my whole system. Feedly (free), NewsBlur ($24/yr), Feedbin ($36/yr), and Feed Wrangler ($20/yr) are just a few of the very popular RSS services that sync subscriptions. Unfortunately, they don’t have stand alone Reader applications for Mac OS (feedly might for Windows, and NewsBlur has ipad and iphone apps but no current Mac OS X app). The problem with all of these alone is that when I click on the RSS link on a site, I don’t have any option to subscribe with one of these programs, I have to manually enter the feed – I heard that this might not be the case with NewsBlur). Feedly is free but has some available premium services. There is worry that without a better business model they may not last (If google couldn’t make it work…). Additionally, as with any service that doesn’t get other external funding (big grants for socially valuable software), they will have to sell your information to make a profit. As Ethan White pointed out via Twitter (@ethanwhite), this makes you the product rather than the software. NewsBlur has a free option for up to 64 feeds but there is a waiting list for that. Otherwise you can pay $24/year for the premium service. This doesn’t guarantee that a company won’t sell your information (unless it’s specifically stated in their purchase agreement), but it hopefully provides a longer term security. I don’t mind paying for high quality software or other good products. Applications/Programs like ReadKit, Fluid, NewsBar, and NetNewsWire act as nice front end readers for the sync services. Unfortunately, you’ll have to get a different one (or more) for your iOS or other devices. It seems as though, for now, there is no real simple stream-lined option to fully replace my previous system. The good news is that after some discussions and searching, it looks like there are some very good options with some very elegant interfaces. So I think I am going to follow Naupaka Zimmerman’s (@naupakaz) lead and use a backend sync service that is compatible with Mr. Reader (prob best reader for iPad) and ReadKit frontend for Mac OS. I will probably choose Feedbin as my sync service because it has a nice web interface and is open source with a GiHub repository. I may try out NewsBlur iOS apps + ReadKit with free subscription first, though. If you want to do it on the cheap, but still have a application frontend, you could use a free feedly account linked with a $5 ReadKit application and $3.99 Mr. Reader iPad application. I’ll add an update once I’ve got a good working system that I’m really happy with. Have you tried Vienna? I switched from Feedly because of the latter’s insistence on a Google account and I’ve been very happy with it. No I hadn’t heard of Vienna. I’ll check it out as I continue to explore my options. Thanks!